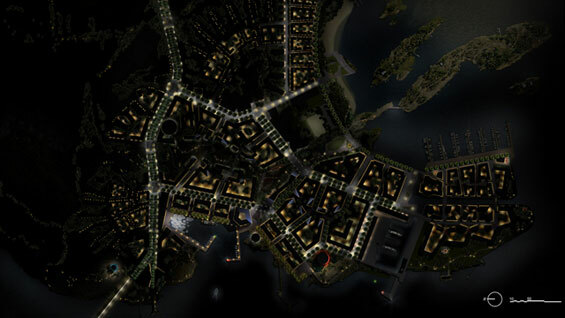 Design competition for a Lighting Master plan for the future urban development of Kruunuvuorenranta as a part of Helsinki. 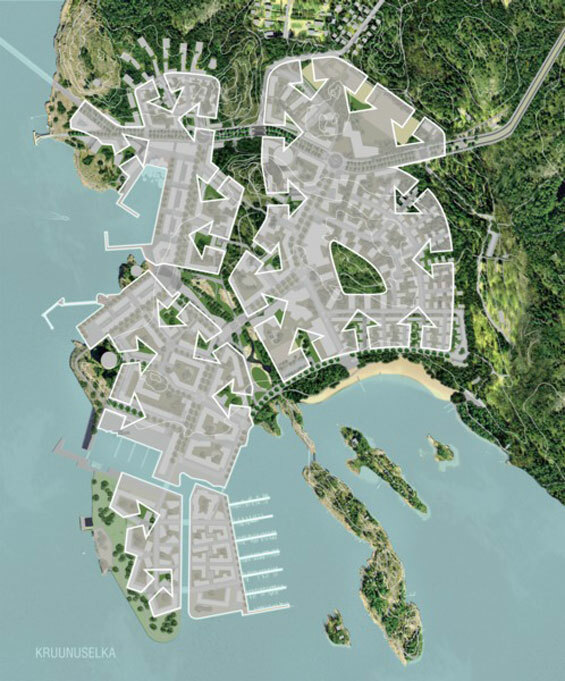 On the site, a former oil harbour, a new residential area will be built containing 10.000 houses and its neighbourhood facilities. 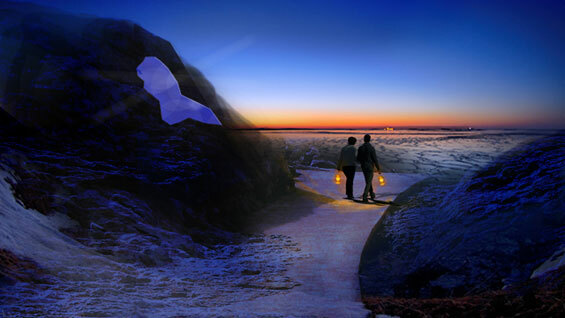 The assignment consists of a Lighting Master plan which could give guidance to the development of Kruunuvuorenranta by: creating a functional lighting plan and introducing an attractive nightscape seen from a distance. The area has a great potential of nature wealth. The proposal takes benefit of this notion and the Master Plan strengthens the nature qualities in such a way that the neighbourhood will derive its identity from that. Both the proposed landscape and illumination plan are anticipating on the natural sources in terms of: quality of darkness, use of local materials and the site heritage. “Living on the rocky shorelines between birch trees and grass with the sea breeze blowing in your face. The long dark winters and the everlasting days of summer. For Helsinki citizens it’s part of everyday life – moreover it represents their quality of life”. In 1911 Bertel Jung designed his Master Plan for Helsinki. 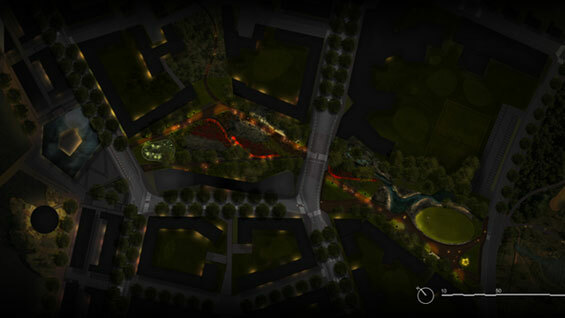 One of the interventions was the cultivation of the Helsinkian lifestyle in a dedicated park zone. The Central Park evolved into the Helsinki Park. It’s a key element in the city of Helsinki and Kruunuvourenranta should blend into that network. Over the years many plans have been developed for the site but, none of them were found to comply with the aspirations. In our view the most recent plan can be improved by a profound analysis of the given natural features to have a better understanding of the site. 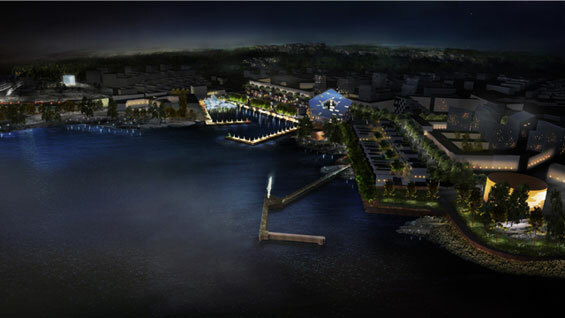 The wealth of nature of the archipelago in all its aspects is reflected in this proposal. 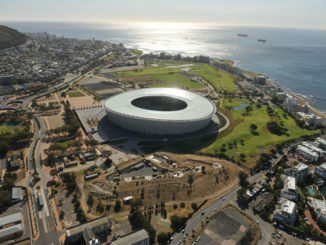 In our Master Plan the built environment is in harmony with the landscape. Light, both natural and/ or artificial, plays a crucial role. By emphasising the natural scenery a strong sensation of being in Kruunuvuorenranta is created. The majority of people using the site after dark on a day-to-day basis will be the people who live there. Artificial light must, first and foremost, be used to create a great place to live. 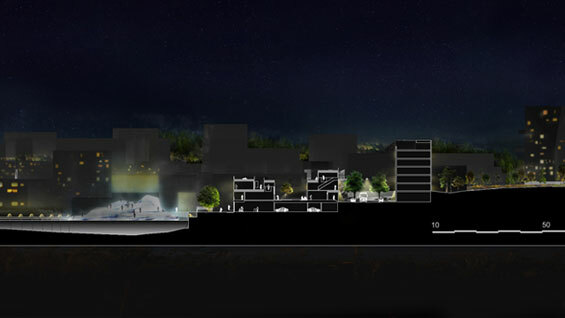 The site will be an important new elevation within Helsinki. 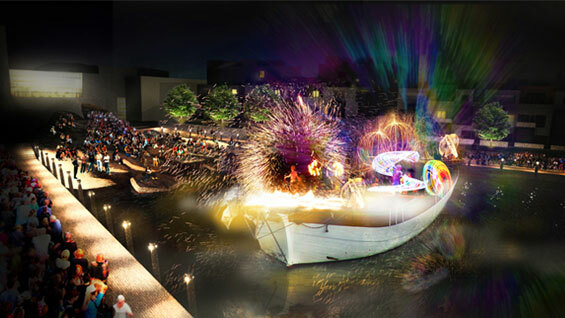 The water’s surface provides a highly reflective foreground which, when fluid, will create a broken, animated reflection of the lit image of the waterfront – in effect almost doubling up the perceived quantity of light present when viewed across the water. Light will therefore be minimised and used sensitively to reveal gateways, selected heritage features and Neighbourhood Lantern Pegs. Two fundamental sources of light are considered – light from the sky and light created by people. Light from the sky is about grand scale, vast open space, an ever-changing, ephemeral light and a connection to nature. Light from the sky is relatively unpredictable and uncontrollable, but will be embraced and exploited through the strategic selection of materials. Throughout the site, the reflectance of materials will be considered to optimise the lighting strategy – allowing both passive and active lighting (i.e. both the reflectance of surfaces and the amount of light cast upon them) to work in harmony to minimise energy use and create an appropriate balance of luminous and dark surfaces.